The Texas Alcoholic Beverage Commission, in major clean-up mode after reports of mismanagement and regulatory overreach, announced Thursday that two more top officials have left the agency. The departures this week of the chief of enforcement, Earl Pearson, and the head of internal affairs, Andy Peña, bring the total number of high-level departures to three this week — and five so far since The Texas Tribune began revealing controversial spending and regulatory practices at TABC. In addition to the two announced Thursday, the officers calling it quits include former Executive Director Sherry Cook, who left in April, Commissioner Steven Weinberg, who abruptly stepped down in May, and General Counsel Emily Helm, who resigned from the TABC Monday. The new chairman of the three-person commission that oversees the agency, Houston businessman Kevin Lilly, said Pearson and Peña "separated" from the TABC on Wednesday. “I thank them both their many years of service to this agency and for their work on behalf of the people of Texas," Lilly said. The commission is scheduled to meet next week in executive session to interview candidates for the executive director job and deliberate a possible selection, according to the agenda. It will fall to the executive director to hire replacements for top posts and lead the day-to-day operation of the agency, which oversees regulation of the alcohol industry in Texas. The last chapter has been a bumpy ride. In March, The Texas Tribune began publishing a series of stories about the TABC, including lavish trips top officials took to out-of-state resorts, questionable use of peace officer status by the agency brass, failures to accurately maintain records of state-owned vehicles and heavy-handed regulatory tactics against alcohol permit holders. The Texas Legislature responded by barring the agency from any non-essential out-of-state travel for the next two fiscal years, and the state House Committee on General Investigating and Ethics launched its own probe of the TABC. The panel's chair, Rep. Sarah Davis, R-West University Place, said repeatedly that heads needed to roll. When the executive director announced her departure in April, the governor called it a "good start" toward reforming the agency. 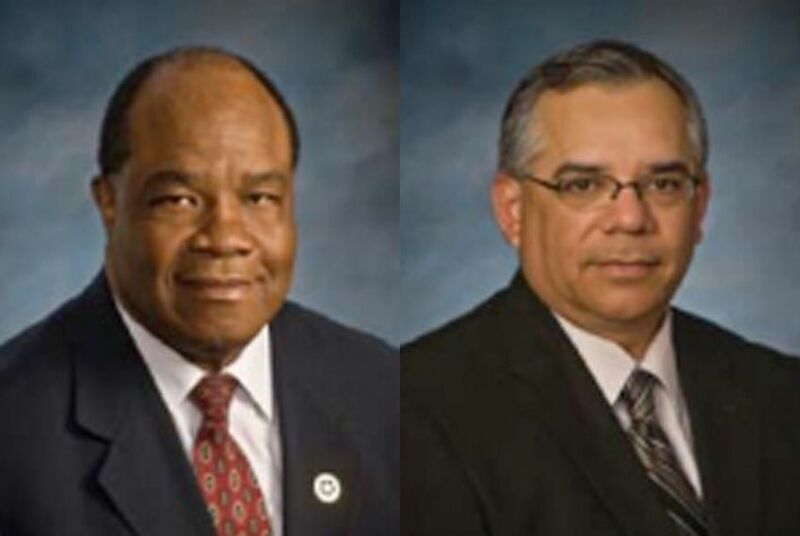 Both Peña and Pearson were longtime employees of the Texas Department of Public Safety before joining the TABC in 2007 and 2009, respectively, according to their agency bios. Peña was no stranger to controversy at the TABC. As head of the department of professional responsibility, which acted as the agency's internal affairs division, Peña investigated complaints against TABC employees. Critics called him “Captain Cover-Up,” complaining that he used his position to protect top honchos. Peña investigated whether TABC violated its own rules after it failed to get an alcohol permit for an open-bar hospitality suite during a liquor industry convention in Austin last year. In a Jan. 5 internal report, Peña, who reported directly to Cook, the executive director, said there was “no merit” to the allegations. “If it involved management, he would cover it up,” said Darryl Darnell, a former TABC lieutenant-turned-whistleblower, who filed the permit-related complaint against Cook. Peña acknowledged that it’s a “very difficult job to investigate your boss” but he said he stood by his reputation and his work product over his many years in law enforcement, much of it in an internal affairs capacity. “I welcome scrutiny of what I do,” he told Davis.